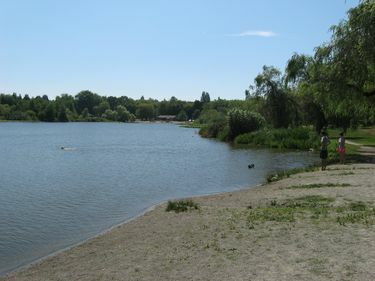 A beautiful, scenic and impressive recreational park conveniently close to Commercial Broadway station is John Hendry Park (also unofficially known as Trout Lake Park). This gorgeous setting is the home of Vancouver's only accessible freshwater lake. On the south end of this tranquil lake there is an alluring man-made sandy beach. 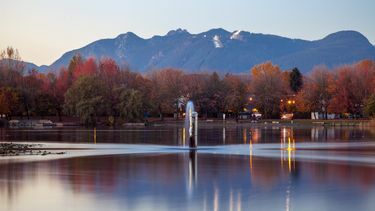 This Vancouver gem is more a community neighbourhood park; well off the radar of most tourists even though it is just a 10 minute walk from one of Vancouver's busiest transit hubs. 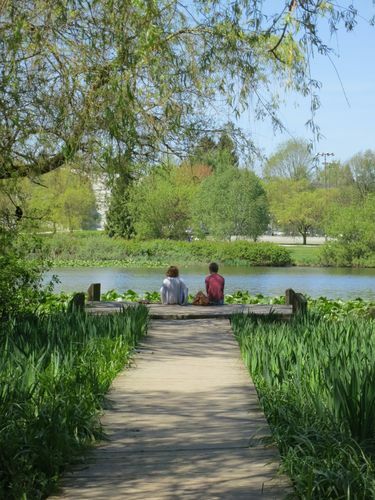 It's a wonderful place to enjoy sunbathing or going for a refreshing swim in the small lake. Lifeguards are on duty from late May to early September, however, there are occassional closures to the beach and swimming area due to water quality. At the north end of the lake there's an off leash dog area, where dogs and their owners can also enjoy another man-made sandy beach to romp around and even swim from. When visiting the park, you can enjoy one of many recreational sports fields, the community centre with an updated ice rink, arts studio, music room, fitness centre and outdoor festival plaza or one of the many multi-use trails. There's also a concession stand, but if you'd rather pack your own meal you can take advantage of the picnic area complete with shelters and barbeque pits. John Hendry Park is the official name for this impressive 67.5 acre recreational park and lake. It was donated to the Vancouver Parks Board by John Hendry's daughter Aldyen Irene and son-in-law Eric W Hamber in 1926 soon after they were married, with the intent to honour her late father, who died in 1916 at the age of 72. John Hendry was a well known influential and respected man. 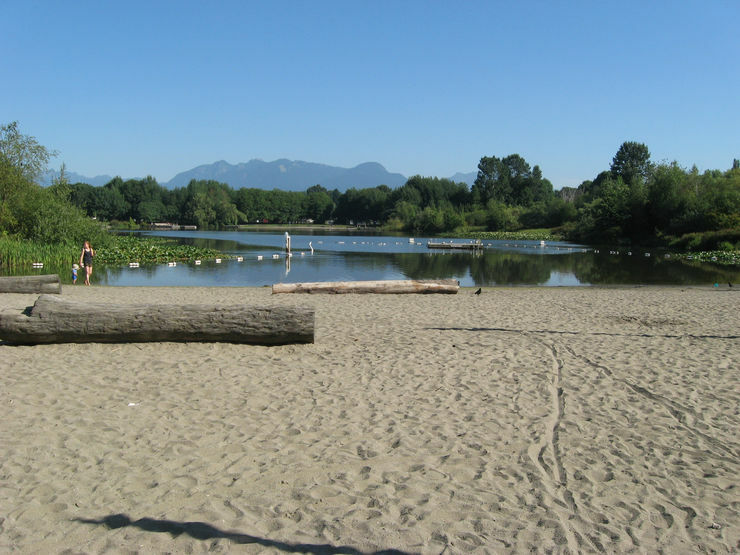 The gorgeous location was given under the condition it would always be called John Hendry Park and in 1942 Eric Hamber wrote to the Vancouver Parks Board reminding them of his family's generous donation and their trusting that the stipulation of its name would be regarded. 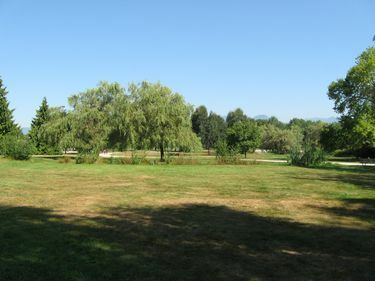 This matter was soon resolved and once more the Parks Board officially recognized the park as John Hendry, not Trout Lake, giving homage to this prominent pioneer family. Take either the Expo or the Millennium Line to Commercial-Broadway Station. Exit the station and proceed one block east on E Broadway to Victoria Drive then go right. Walk south on Victoria Drive to 15th Avenue and go left along 15th into the park. If you are travelling to the park on the Expo Line from downtown Vancouver you can continue past Broadway Station and get off at Nanaimo Station. This will result in slightly less walking distance and is ideal for getting to the south end of the park. Exit Nanaimo Station and cross over Nanaimo Street. Go right (north) up Nanaimo to Copley Street which is opposite to 20th Avenue. Make the sharp left onto Copley and then go right at the first laneway and follow it straight into the park.